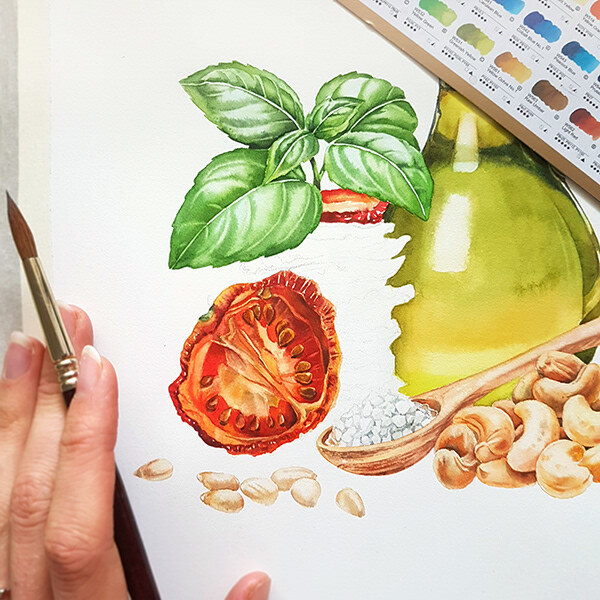 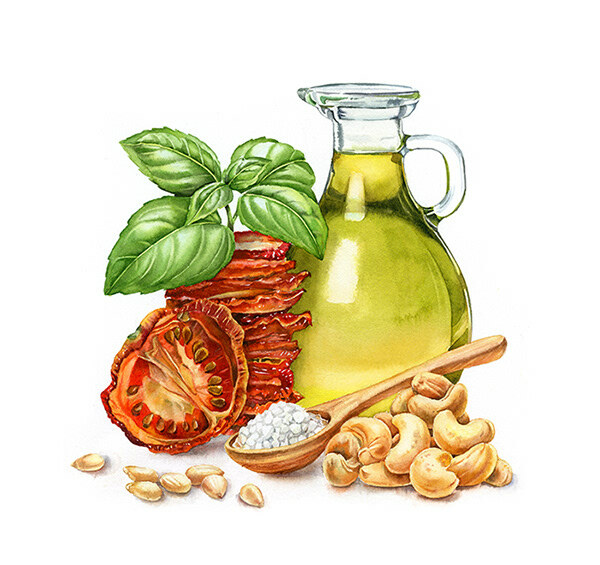 The task was to create an illustration based on the ingredients used for pesto: sun dried tomatoes, olive oil, cashew nuts, pine nuts and sea salt. 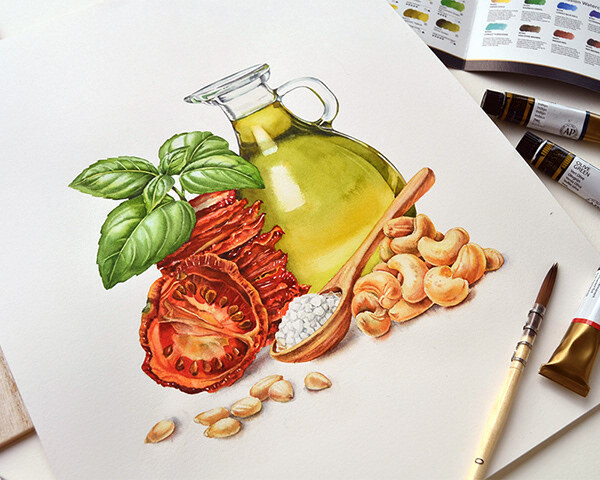 Ideally the ingredients used most, should have occupied more space. 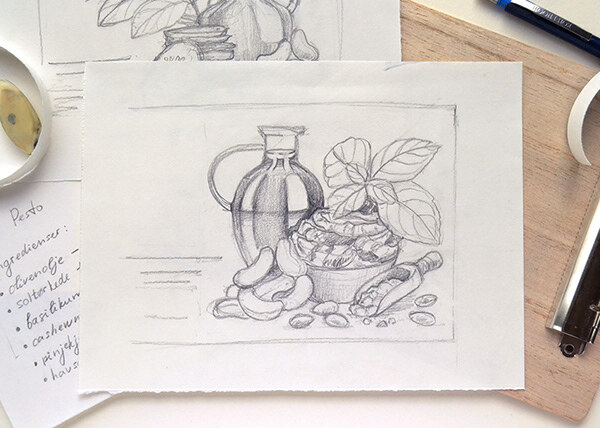 I started with pencil sketches. 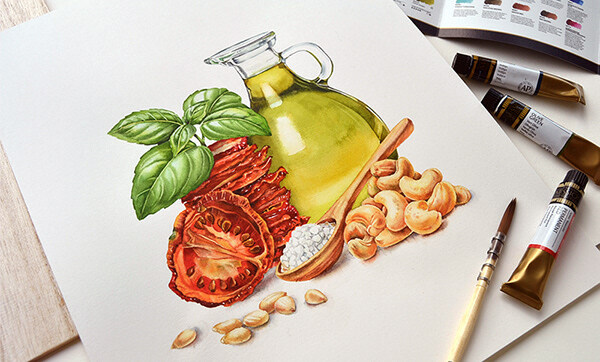 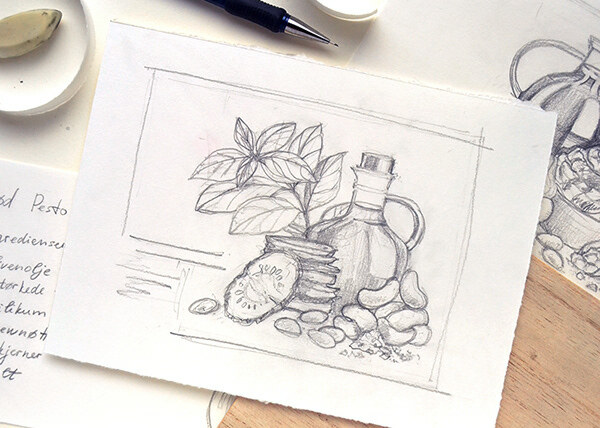 Process of creation watercolor illustration for Red Pesto label.